Earlier this year, Mads Mikkelsen revealed that he had actually auditioned for a part in Josh Trank’s fantastically awful Fantastic Four reboot. But what caused him to abandoned his attempt to join the movie altogether? According to the actor, a truly weird audition that was all about the length of his arms. Yes, really. I didn’t walk out. When I left it, I was just like – this is crazy. I don’t even have long arms. What am I doing in here? The audition was only about long arms. No lines. I felt a little funny. Oh, to be a fly on the wall for that audition. 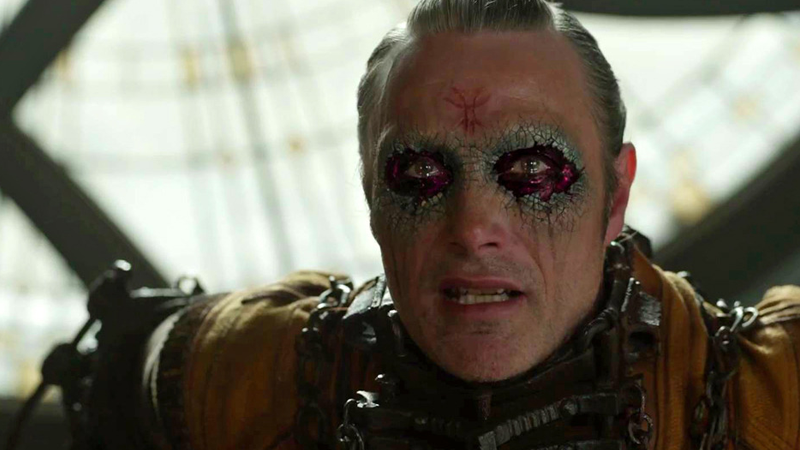 Most people have assumed that Mikkelsen was auditioning for Doctor Doom—because, duh, wouldn’t he be perfect for that?—but everything he’s said about the failed audition seems to point in the direction of it actually being for Mr. Fantastic himself. Aside from this “all arms, all the time” revelation, he’s mentioned in the past that the audition involved some arm stretching, and that’s definitely leaning more to Reed Richards than it is Victor Von Doom. That means, at one point, we could’ve had a much older Fantastic Four than we got in the final team, which is an interesting prospect. If only Mads had been more keen about flailing his arms around! Yeah, it’s always interesting. They are experimenting with doing some of the villain’s stories as well. Let’s see if they do that. I’m not familiar that they’ve done it with anyone yet. They haven’t done it with The Joker [and] they haven’t done it with The Penguin. So we’ll see when that day comes. Just make sure there’s some lines in the audition this time and less arm waving.